The easiest and fastest way to add payments on your WordPress site with no time. 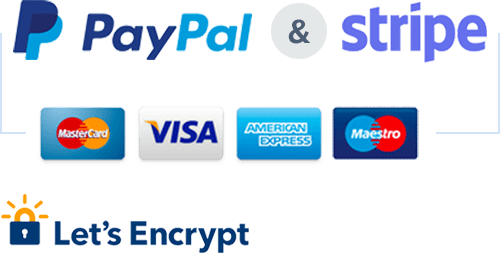 Integrate seamlessly with PayPal and Stripe express checkout with your website without coding. Collect every payment for services, products, and donations online with zero coding. Avoid the hassle of setting up a complex shopping cart process with endless flexibility. Besides the extensive documentation, WPPayForm Pro allows automatic updates, and in case of any issue, its dedicated support team will get there instantly to help you out. Stripe and PayPal are the most standard and smartest gateway available out there. All the records are stored on the most secured way maintaining a proper balance in the database. WPPaymentForm Pro lets users complete the payment transaction using widely acceptable multiple payments gateways that allow them to reach out to the maximum availability. Use a responsive payment form builder with a special drag & drop builder feature. You can customize the payment form and the information you provide by spending a short time. Experience a mobile and tablet friendly checkout process using WPPayForm Pro. Clients will get a device optimized payment system that is improved based on millions of transaction. Before using WPPayForm Pro, I had to take several hours to do, but WPPayForm Pro made it simple and reduced it to minutes. Very much helpful plugin with no major issues, thanks for integrating both PayPal and Stripe as well. Wow! Awesome, it took me 2 minutes to set up. Beautiful, simple, and straightforward plugin for WordPress payment plugin. Q. Who can use WPPayForm pro? WPPayForm can be used by the business owners, startups, consultants, non-profit organizations and developers as well. Q. Is it required to have account of Stripe and PayPal? Yes, you need to have an active Stripe and Paypal account. If you don’t have so far, it will take only few minutes to register. Sign up for Stripe and PayPal. Q. Is WPPayForm Pro compliant with GDPR? Q. Do you need any coding skill to use WPPayForm Pro? Definitely not. You can create and manage all the payment process with zero coding knowledge. Q. Is WPPayForm pro responsive in type? Yes, it is! WPPayForm pro is developed in such a way that you can build responsive and user-friendly payment forms with minimal effort.